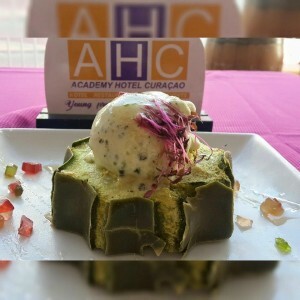 WILLEMSTAD –The Curaçao Hospitality and Tourism Association (CHATA) will give 100 Tourism and Hospitality students the opportunity to attend Flavors of Curaçao for FREE. Since last year, the Flavors of Curaçao has been one of the culinary world's must-attend events in the Caribbean. With its amazing package for both days it's convenient for most casual food lovers to attend both days. In connection with stimulating #PassionForTourism CHATA is giving one hundred students the chance to experience this incredible event. Flavors of Curaçao is CHATA’s biggest annual fundraising event meant to create awareness for the hospitality and tourism sector. The aim is also for the students to learn more about event management, experience different restaurants and inspire them to pursue a career in the field of hospitality and tourism. This two-day event will take place at Piscadera Village on October 28th and 29th. Around 30 restaurants, international bartenders, Curaçao Culinary Team and various local DJ’s will be present. Packages go for ANG 50 which include a two-day pass with ANG 25 worth of tokens. The one-day entrance fee is ANG 25.